We don’t let just anyone through the Fooda orange door. Our restaurant sales team handpicks restaurant partners based on three dimensions: 3.5-5 stars on Yelp, a grade A health rating, and a successful menu tasting. We then train and onboard each restaurant so they know exactly where they’re going to setup and what guidelines to follow inside your corporate office or building lobby. We love all of our 600+ partners, from the national brands to the neighborhood hidden gems. We communicate constantly with them, about new menu items, setup ideas, and general thoughts on how to help them grow their business. Once in a while we’ll get a special delivery of the great food they serve. Those days we fill up on lunch – twice. We can tailor your restaurant schedule to meet your needs, but employees across the country seem to especially love Mexican and BBQ. 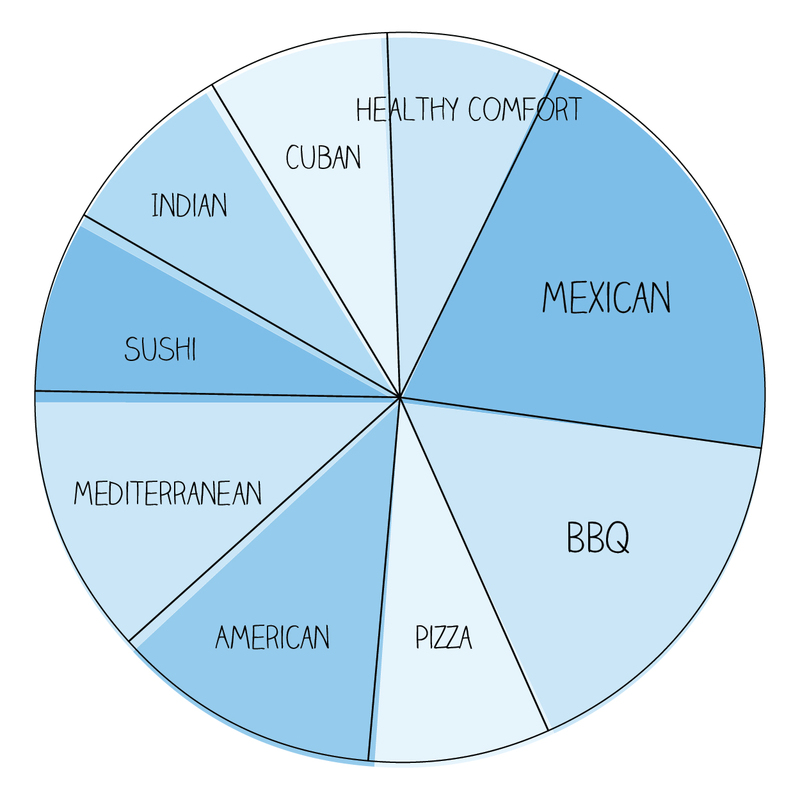 Popular menu categories with examples Our menus are designed to please even the pickiest of eaters.